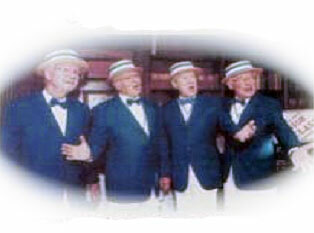 “Senior Class”, a Barbershop Quartet. Please Join us for our own talented Bill Harrington and his group, “Senior Class”, a Barbershop Quartet. Senior Class is a vocal quartet performing for the most part in the barbershop style. Their varied repertoire also include folk and modern harmony as well as novelty numbers. They have a fun loving style which includes audience participation and sing-a-longs. Stop by the front desk to sign up for the fun filled event hosted by four very talented men!